We all know that the ability to express and control our own emotions and also recognise them in others is an essential social skill. However, for the young child or for children on the autism spectrum – and even for older people suffering from dementia, trying to communicate feelings can be difficult and frustrating. 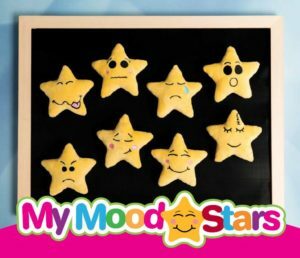 My Mood Stars enable all these groups to immerse themselves in imaginative play, either by themselves or with others, and offer a fun opportunity for them to talk about how and what they are feeling. The Stars can be popped on and off their own special board, which is a fun activity in itself. We have also seen older children vent their frustration and turn anger into laughter mid-meltdown as they throw the Stars onto the board and watch them stick. Younger kids love this game too. 3’s) as a badge – perfect for non-verbal children. The soft, tactile Mood Stars can be used to set the scene for creating endless stories and games. 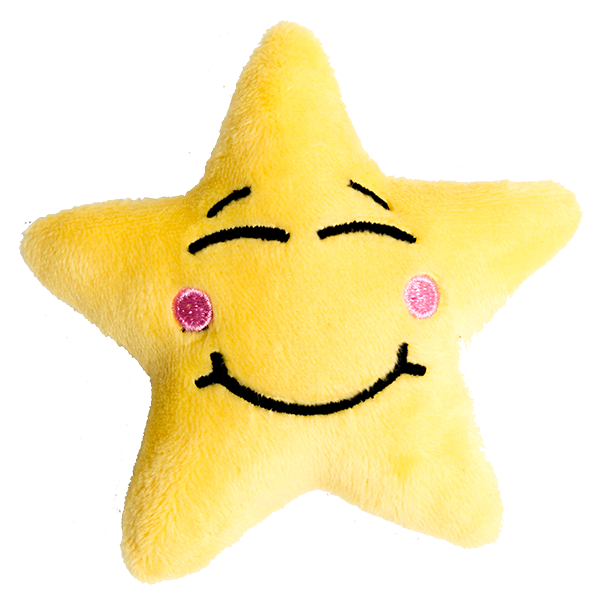 The names of the Stars – Shy, Sad, Angry, Happy, Sleepy, Surprised, Scared and Silly – can be changed to fit in with the user’s vocabulary. 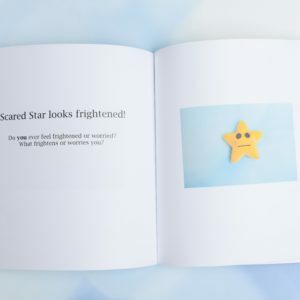 In addition to the Mood Stars themselves, their mountable board, a badge, and an activity sheet is included where you’ll find inspirational activities that will keep your child engaged for hours. 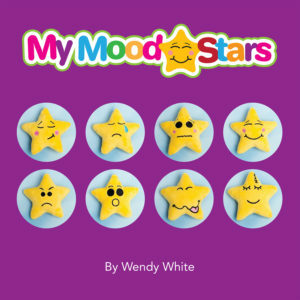 As a separate, helpful accessory, the My Mood Stars book also encourages children to express their emotions verbally or through notes and drawings on pages provided. For more information, please visit www.mymoodstars.co.uk.